The Bengal famine of 1943 (Bengali: পঞ্চাশের মন্বন্তর) struck the Bengal Province of pre-partition British India (present-day West Bengal, Odisha, Bihar and Bangladesh) during World War II following the Japanese occupation of Burma. Approximately 3 million people died due to famine. Generally the estimates are between 1.5 and 4 million, taking into account death due to starvation, malnutrition and disease, out of Bengal's 60.3 million population. Half of the victims died from disease after food became available in December 1943. Generally it is thought that there was a serious decrease in food production during that time, coupled with Bengal's continuing export of grain. However, according to Amartya Sen, there was no decrease in food production in 1943 (in fact food production was higher compared to 1941). As in previous Bengal famines, the highest mortality was not in previously very poor groups, but among artisans and small traders whose income vanished when people spent all they had on food and did not employ cobblers, carpenters, etc. The famine also caused major economic and social disruption, ruining millions of families. The proximate cause of the famine was a reduction in supply with some increase in demand. The winter 1942 ‘aman’ rice crop, which was already expected to be poor or indifferent, was hit by a cyclone and three tidal waves in October. 450 square miles were swept by tidal waves, 400 square miles affected by floods and 3200 square miles damaged by wind and torrential rain. Reserve stocks in the hands of cultivators, consumers and dealers were destroyed. This killed 14,500 people and 190,000 cattle. ‘The homes, livelihood and property of nearly 2.5 million Bengalis were ruined or damaged.’ A fungus causing the disease known as "brown spot", hit the rice crop and this was reported to have had an even greater effect on yield than the cyclone. The fungus, Helminthosporium oryzae, destroyed 50% to 90% of some rice varieties. It was argued that the normal carryover stocks did not exist in Bengal, because 1941 was a short year, and people started eating the December 1941 crop as soon as it was harvested (as they certainly did when the December 1943 crop was harvested). As a result, the good December 1941 crop did not mean the normal surplus stocks were carried over into 1943. In other years and in other provinces, there had been several good or average crops between bad years, and stocks had built up. Bengal had been a food importer for the last decade. Calcutta was normally supplied by Burma. The British Empire had suffered a disastrous defeat at Singapore in 1942 against the Japanese military, which then proceeded to invade Burma in the same year. Burma was the world's largest exporter of rice in the inter-war period. By 1940 15% of India's rice overall came from Burma, while in Bengal the proportion was slightly higher given the province's proximity to Burma. After the Japanese occupation of Burma in March 1942, Bengal and the other parts of India and Ceylon, normally supplied by Burma, had to find food elsewhere. However, there were poor crops and famine situations in Cochin, Trivandrum and Bombay on the West coast and Madras, Orissa and Bengal in the East. It fell on the few surplus Provinces, mainly the Punjab, to supply the rest of India and Ceylon. India as a whole had a deficit, but still exported small quantities to meet the urgent needs of the British-Indian Army abroad, and those of Ceylon. Lack of statistics was an important cause of the failure to recognize and tackle the famine. It was known by administrators and statisticians well before the famine that India's agricultural production statistics were "not merely guesses, 'but frequently demonstrably absurd guesses'". The statistics were described as "entirely untrustworthy" and "useless for any purpose". It was also stated that "no dependable statistics existed in Bengal", that what statistics existed "were disbelieved by the very Government which issued them", and that there were "no meaningful production statistics"; the raw data were guesses or were "invented", and the averaging procedure increased the error. Senior officers then changed the calculated figures according to their whim. About half the estimates were adjusted; adjustments of 30% to 40% were common, and changes of 60% to 70% were not unknown. Bengal's agricultural statistics were particularly bad, because of its land tax system. In 1942, a revenue officer would guess at the area planted and the probable yield for a 750,000 acre (310,000 ha) area to give a crop forecast for that area. These forecasts were aggregated and "adjusted" by successive levels of Department of Agriculture officials. It is not known if the forecasts were adjusted after the cyclone, or on what basis this could be done. There were no measures of actual yields or area. The official First Crop Forecast on 5 October, before the cyclone, was reduced by 6% for the Second Crop Forecast in December, at harvest time, and by a further 6% for the final Third Crop Forecast in February, making it 1.2 million tons lower than the ten-year average of 6.2 million tons. It is not known if these adjustments were meant to allow for the cyclone. However, the Director of Agriculture had believed before the cyclone that his department's official forecast overstated actual expected production by a quarter. The officials responsible for food, such as Pinell and Braund, used a wide range of other estimates, cross checking them against observable facts. They were able to make use of information revealed in mail censorship, such as information in letters from farmers, landlords and traders on crop yields, as well as reports from Special Branch (the secret police), reports from other departments, etc. Traders acted on their belief in a serious shortage and made a lot of money. They warned the Bengal government of a famine situation. These sources all indicated that a famine was imminent, and that the crop forecasts were wrong. Subsequent research done by the Indian Statistical Institute using statistically valid samples and crop cutting showed large errors: survey estimates ranged from 47% to 153% of the official estimate. The discrepancies also varied from year to year. For instance, the sample estimate of the jute crop was 2.6% above the official estimate in 1941 and 52.6% above it in 1946. This rules out analysis based on the level of the production forecast and, in particular, on year-to-year differences in production forecasts. There are some figures on shipping and rail deliveries of rice to Calcutta, but none on imports by Bengal as a whole; most trade was informal and took place by river boat. There are no statistics on public or private stocks, until some commercial stock figures were kept in 1943. The number of people to be fed was not known. The Census of Population was known to be unreliable at best, and the 1941 Census was particularly badly conducted. There are no statistics on the number of refugees from Burma, nor the refugees from Bengal, escaping war, bombing and famine. Details of military requirements and procurement have not been published. There is no indication of how much food the military provided to Bengali soldiers and war workers. "If food is so scarce, why hasn’t Gandhi died yet?" Winston Churchill's response to an urgent request to release food stocks for India. Whatever the cause of the famine, deaths could only be prevented by supplies of food from elsewhere in India. This was not forthcoming. In normal regional famines the Indian Government had provided the starving with money, and let the trade bring in grain which worked for regional famines, though this had been disastrous in Orissa in 1888 when, as in 1943, the shortage was not regional but national. In 1942, with the permission of the central government, trade barriers were introduced by the democratically elected Provincial governments. The politicians and civil servants of surplus provinces like the Punjab introduced regulations to prevent grain leaving their provinces for the famine areas of Bengal, Madras and Cochin. There was the desire to see that, first, local populations and, second, the populations of neighbouring provinces were well fed, partly to prevent civil unrest. Politicians and officials got power and patronage, and the ability to extract bribes for shipping permits. Marketing and transaction costs rose sharply. The market could not get grain to Bengal, however profitable it might be. The main trading route, established for hundreds of years was up the river system and this ceased to operate, leaving the railway as the only way of getting food into Bengal. Grain arrivals stopped and in March 1943, Calcutta, the second biggest city in the world, had only two weeks food supply in stock. The Government of India realized a mistake had been made and decreed a return to free trade. The Provinces refused. ‘In this, again, the Government of India misjudged both its own influence and the temper of its constituents, which had by this time gone too far to pay much heed to the Centre.’ The Government of India Act 1935 had removed most of the Government of India's authority over the Provinces, so they had to rely on negotiation. Eventually there was a clear threat by the Government of India to force the elected governments to provide grain, when the new Viceroy, Wavell, who was a successful general, was about to take office. For the first time substantial quantities of grain started to move to Bengal. The Government of Bengal was slow in starting relief measures and at one stage in 1943 it limited relief to save money, though the money could have been obtained. The supporters of the two Bengal Governments involved, that of A. K. Fazlul Huq (December 1941 to March 1943) and of Khawaja Nazimuddin's Muslim League (April 1943 to March 1945) each held the other government responsible for the catastrophe, because of its inaction and corruption. Bengal's chief minister, A. K. Fazlul Huq, had warned of the risk of famine but he was ignored and replaced. The government had done almost nothing to prepare for famine, and critics noted "the feebleness of its moral and administrative standards". Contemporary commentators believed that there was substantial hoarding by those consumers who could afford it, by firms and by those farmers who produced surpluses. This started in July 1941 when war with Japan was inevitable, increased when Burma was attacked in December 1941 and when Ceylon, then Calcutta were bombed in 1942. India would have entered the famine year with substantial surplus private stocks. These stocks do not appear to have been released and there was no political drive to get people to give or sell the surpluses. An official ‘Food Drive’ in Bengal did not result in release of hoarded stocks. It was believed that fear of the famine actually increased hoarding. The elected Provincial governments, their public servants and some key people in the Indian civil service believed, or said they believed, that Bengal had plenty of food, which could be made available with good administration. There were no meaningful production statistics which could support this, and those ‘hopelessly defective’ production statistics that did exist indicated a serious shortage. There were claims that hoarding was the cause of the famine, and this should be dealt with administratively, not by providing starving people in Bengal with food. ‘And at the Third Food Conference in Delhi on the 5 to 8 July, … the suggestion that "the only reason why people are starving in Bengal is that there is hoarding" was greeted at the Conference by the other Provinces with applause.’ Similarly, some officials in the Government of India refused to accept the evidence on the ground, preferring their own idiosyncratic interpretations of the market: as late as November 1943, ‘The Government of India would admit no intrinsic shortage in Bengal in the Spring of 1943 and, even in November, at the height of the famine, the Director-General of Food in the Council of State said that "the major trouble in Bengal has been not so much an intrinsic shortage of essential food grains as a breakdown of public confidence.’ On 19 October 1943, when the famine was at its peak, Wavell noted in his journal "On the food situation Linlithgow [The outgoing Viceroy] says chief factor morale.[i.e. panic hoarding]" For hoarding to have created the amount of hunger and death recorded if there had, indeed, been adequate supplies, it would have been necessary that the richest 10% of Bengal's population, the only ones who could afford it, to lay in two years' rice supply for themselves, in addition to the stocks accumulated in the previous two years, and to keep it in stock until the end of the war, while their neighbours starved. There was never any suggestion that anything of the sort happened, which is strong evidence against the hoarding explanation. There was a widespread claim, unevidenced, that there was no shortage really, that there was plenty of rice available but traders were stockpiling it to make speculative profits. In fact, there was strong evidence that this was not so: extensive investigations by police, special branch and officials, backed up by rewards for information, found no examples; raids on traders found that they had significantly smaller trading stocks than they had in normal years. This was confirmed when there was no release of surplus stocks when the famine ended. Only if speculators had stored more than usual, and not released it during the famine year, would they have increased the number of deaths: there is ample evidence that they did not. Such claims of speculation causing famine have been ridiculed by economists since Adam Smith. Similarly, it was claimed, without evidence or calculation, that the 1% to 2% of the Bengal population whose purchasing power increased because of the wartime inflation and war expenditure ate so much more than usual that two-thirds of the population went hungry – 10% very hungry indeed, with half of this 10% dying of starvation and disease. A quick calculation would have shown that this explanation requires that on 1 November 1942 the small group with increased purchasing power started eating 12 to 46 times more than usual per head and that they reverted to normal consumption in December 1943. The Working Class Cost of Living Index rose by 15% to 20% per annum from 1939–46 with a sharp rise in cities in famine districts in 1942/3 because of famine-level rice prices, returning to the average level afterwards. Most contemporary sources refer to massive corruption by public servants, politicians and trading companies. Most contemporary commentators thought the Hindu-Muslim conflict a serious factor. It was even claimed by a leading politician that ‘Bengal had been deliberately starved out by other provinces’ which refused to permit the export of grain. Any imports would have had to come from Australia, North America or South America. Some supplies from Australia entered the region. The main constraint was shipping. The Battle of the Atlantic was at its peak from mid-1942 to mid-1943, with submarine wolf packs sinking so many ships that the Allies were on the verge of defeat, so shipping could not be spared for India. 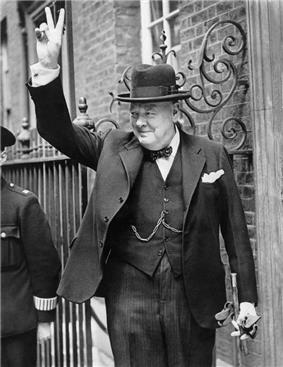 By August 1943 Churchill refused to release shipping to send food to India. Initially during the famine he was more concerned with the civilians of Nazi-occupied Greece (who were also suffering from a famine) compared with the Bengalis, noting that the "starvation of anyhow underfed Bengalis is less serious than that of sturdy Greeks". In the middle of 1942, British authorities feared that the Japanese would follow up their conquest of Burma with an invasion of British India proper by way of Bengal. A scorched earth policy was hastily implemented in the Chittagong region, nearest the Burmese border, to prevent access to supplies by the Japanese in case of an invasion. In particular, the Army confiscated many boats (and motor vehicles, carts and even elephants), fearing that the Japanese would commandeer them to speed an advance into India. The inhabitants used the boats for fishing and to take goods to market, and the Army failed to distribute rations to replace the fish and the food lost through the stoppage of commerce. The dislocation in the area forced many of the male inhabitants into the Military Labour Corps, where at least they received rations, but the break-up of families left many children and dependants to beg or to starve. 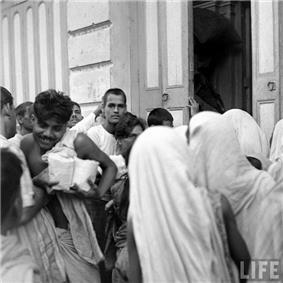 In December 1942 there was a shortage in Calcutta itself. Therefore, government focused on getting supplies to Calcutta by trying to buy surplus stocks in the region. The quantities that District Officers were able to locate and purchase were considered too small to end the famine, so the Government introduced free trade in rice in Eastern India, hoping that traders would sell their stocks to Bengal; however this measure also failed to move large stocks to Bengal. In April and May there was a propaganda drive to convince the population that the high prices were not justified by the supply of food, the goal being that the propaganda would induce hoarders to sell their stocks. When these propaganda drives failed, there was a drive to locate hoarded stocks. H. S. Suhawardy, Bengal's Minister of Civil Supplies from April 24, 1943, announced that there was no shortage of rice in Bengal and introduced a policy of intimidating ‘hoarders’: this caused looting, extortion and corruption but did not increase the amount of food on the market. When these drives continually failed to locate large stocks, the government realized that the scale of the loss in supply was larger than they had initially believed. The Indian Army and Allied troops acted only after Wavell became Viceroy and got permission from the Bengal Government. They had vehicles, fuel, men and administrators, which the civil authority did not, so they were much more effective than the civil authority in getting food to the starving outside Calcutta. The distribution was difficult and continued for five months after the November/December 1943 crop was harvested. However, they did not have much food to distribute. During the course of the famine, 264 thousand tons of rice, 258 thousand tons of wheat and wheat products, and 55 thousand tons of millet were sent to Bengal from the rest of India and overseas in order to relieve the famine. One ton feeds 5.75 people for a year at normal consumption, perhaps 8.2 at emergency survival rates. Various guesses were that the rice production in Bengal was 1.2 – 2.5 million tons below the ten-year average. Food prices were high in mid-1942, reflecting the belief that India was in deficit. They rose sharply when the cyclone destroyed a quarter of Bengal's rice crop, and evidence of shortage elsewhere in India and elsewhere in the region emerged, and they continued to rise sharply as the famine bit. Repeated efforts to ‘break the Calcutta market’ and reduce prices by dumping grain on the market failed: the quantities of grain available for intervention were minuscule in relation to the shortage. There was the normal seasonal speculation which puts up prices, forcing the population to reduce consumption and so spread what is available throughout the year (as economists from Adam Smith have pointed out). The high prices determine who is to die, the poor, rather than increase the number of deaths. The Bengal Famine may be placed in the context of previous famines in Mughal and British India. Deccan Famine of 1630–32 killed 2,000,000 (there was a corresponding famine in northwestern China, eventually causing the Ming dynasty to collapse in 1644). An estimated 10,000,000 died in the Great Bengal famine of 1770 and 11,000,000 in the Chalisa famine in 1783. During the British rule in India there were approximately 25 major famines spread through states such as Tamil Nadu in South India, Bihar in the north, and Bengal in the east; altogether, between 30 and 40 million Indians were the victims of famines in the latter half of the 20th century (Bhatia 1985). The orthodox explanation of the famine, from the Famine Inquiry Commission of 1945 was that the Indian provincial and national governments and the British government chose to believe, without evidence and in denial of the evidence, that Bengal had plenty of food available, and so they provided far less food relief than was needed, and many people died. Amartya Sen (1976) challenged this orthodoxy, reviving the claim that there was no shortage of food in Bengal and that the famine was caused by inflation, with those benefiting from inflation eating more and leaving less for the rest of the population. Sen claimed that there was in fact a greater supply in 1943 than in 1941, when there was no famine. This is the explanation that the Bengal Government and other governments believed and acted on in 1943. Some of the dispute is based on matters of fact. Sen bases his argument entirely on small differences in one of the series of crop forecasts over ten years. He claims these forecasts are extremely accurate, but contemporary civil servants and statisticians considered the forecasts meaningless even before they were adjusted by civil servants and politicians. Sen also rejects the orthodox belief that reduced carry over of rice from the previous crop year was a contributing factor. Bowbrick claims that Sen misrepresents the facts in his sources in more than thirty instances and Tauger makes similar claims on a different set of statements by Sen. Goswami (1990) and Dyson and Maharatna (1991) show misrepresentation too. There is also dispute based on what the theories explain. Sen does not explain why the wartime inflation and boom did not cause famine in other war years, but the Famine Inquiry Commission explanation does. The Famine Inquiry Commission explains why the famine lasted only between one poor harvest and the next good one, which Sen's explanation does not. Sen does not explain why the Bengal Government's policy, which was based on the same diagnosis as his own, did not prevent the famine: the Famine Inquiry Commission explanation does. Sen does not provide evidence on what happened to the food that he says existed in Bengal: Bowbrick argues that it is physically impossible for people to eat the quantity of food needed to cause a famine in the way Sen describes, two to four-week's normal food supply each day. Paul Greenough (1982, pp. 118, 138) accepts Amartya Sen's estimate of food availability and shows that this implies that some cultivators and landlords ate far more than in normal years and increased personal security stocks (hoarding) with the result that far less rice was on the market than in 1941. He says that they were able to do this because high prices meant they did not have to sell so much to meet their cash needs. They were willing to eat more than normal and keep rice off the market while their neighbours starved and many died because of the breakdown of traditional rural Bengali obligations of economic help, charity and patronage, which Greenough (1982) analyses at great length. He concludes that the famine was caused by Bengali men, ‘In short, the "man-made" famine was culturally patterned in its onset, crisis and denouement.’ (Greenough, 1982, p. 265) His analysis also works with the assumption that supply was totally inadequate in 1943. Hungry Bengal: a tour through Midnapur District in November, 1943 by Chittaprosad—This book included many sketches of the Bengal Famine drawn from life, as well as documentation of the persons depicted. The book was immediately banned by the British and 5000 copies were seized and destroyed. One copy was hidden by Chittaprosad's family and is now in the possession of the Delhi Art Gallery. The Delhi Art Gallery showcased Chittaprosad's Famine Series in an exhibition in September 2011. The Wall Street Journal covered the event. Nabanna a Bengali play about the famine was written by Bijon Bhattacharya and staged by Indian People's Theatre Association (IPTA) in 1944 under the direction of Sombhu Mitra and later in 1948, by Bohurupee under the direction of Kumar Roy. IPTA also took the play to several parts of the country and collected funds for famine relief in rural Bengal. Asani Sanket by Bibhutibhushan Bandyopadhyay—The book follows a young doctor and his wife in rural Bengal during the 1943 famine. The book was adapted into a film of the same name by celebrated director Satyajit Ray in 1973. The film features in "The New York Times Guide to the Best 1,000 Movies Ever Made". Other famous novels on the subject are So Many Hungers! (1947) by Bhabani Bhattacharya, and Aakaaler Sandhane by Amalendu Chakraborty (cinematised in 1980 by Mrinal Sen). Editorials in The Statesman: Two editorials were published on the famine, on 14 and 16 October 1943, by Ian Stephens, the editor of The Statesman. Ian Stephens broke ranks with the voluntary silence of other journalists, gave graphic accounts of the famine, and delivered a stinging critique of the inaction of the administration. Monsoon Morning by Ian Stephens, the editor of The Statesman, also published a memoir about the Bengal Famine, Monsoon Morning, in 1963. ^ Amartya Sen (1981). Poverty and Famines: An Essay on Entitlement and Deprivation. London: Oxford University Press. p. 203. ^ Joseph Lazzaro. 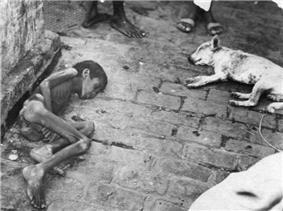 "Bengal Famine Of 1943 - A Man-Made Holocaust". ibtimes.com. Retrieved 4 July 2014. ^ a b David Myers. "Causes of the Great Bengal Famine 1943". suite.io. Retrieved 4 July 2014. ^ Soutik Biswas. "How Churchill 'starved' India". bbc.co.uk. Retrieved 4 July 2014. ^ "The Bengal Famine of 1943:Amartya Sen and Satayajit Ray" (PDF). pooreconomics.com. Retrieved 4 July 2014. ^ Frere (1874); Hunter (1873); Bengal Administration (1897). ^ Mahalanobis, Mukkerjee, and Ghosh, (1946). ^ Padmanabhan (1973), pp. 11-26.; Tauger 2006; Tauger 2009. ^ Famine Inquiry Commission 1945a, 1945b. Knight 1954 gives a contemporary account of the Indian situation. Tauger (2006), (2009) covers both India and the region. ^ Famine Inquiry Commission 1945a p18, 43, 173. ^ See Dewey (1978) for a review. ^ Report of the Royal Commission on Agriculture in India, Parliamentary Papers (1928) VIII, P.605. ^ Bowley & Robertson (1934) p.35, who thought however that they might be useful for "warning the government of imminent famine." They proved useless for this in 1943. ^ Mahalanobis (1944), writing in 1943. ^ e.g., Trevaskis (1931), p. 200; Government of India, (1915), Revenue Proceedings IR-Ag, March, 12-24; Panse (1954) p.26. ^ The Permanent Settlement fixed land tax, while in other provinces it was based on planted area and yield, which revenue officers had to calculate each year. ^ Desai (1953 p8), Dewey (1978 p311) quoting the Imperial Council of Agricultural Research (1950). Panse (1954 p27) points out that experience shows that 'eye estimation makes for a general toning down of fluctuations', which would help explain why the degree of shortfall was not appreciated. ^ "The Ugly Briton". Time. 29 November 2010. ^ a b c Braund, 1944; Pinnell, 1944; Famine Inquiry Commission, 1945a. ^ Chandra, Mahesh, (August 1943) quoted in Stephens (1966) p181. ^ Madhusree Mukerjee (March 2014). "Bengal Famine of 1943". Economic and Political Weekly 49. ^ Department of Anthropology (1944); Mahalanobis, Mukkerjee and Ghosh (1946), pp 337 400. ^ a b Bowbrick, P. (1986). "Statistics you can use to check Amartya Sen's calculations in Poverty and Famines". Bowbrick. Retrieved 1 September 2011. ^ "Blame for India Famine". ^ Sankar Ghose (1993). Jawaharlal Nehru, a biography. Allied Publishers. p. 111. ^ Shashi Tharoor (2003). Nehru: the invention of India. Arcade Publishing. p. 133. ^ Wheatcroft, Geoffrey (15 August 2014). Churchill and Empire' by Lawrence James"'". The New York Times. (subscription required (help)). ^ "Bowbrick". Bowbrick. Retrieved 2013-08-28. ^ "Tauger, Indian Famine Crises p.183"
^ "How Sens theory can cause famines". Bowbrick.org.uk. Retrieved 2013-08-28. ^ Andrew Fitzgerald (April 10, 2013). "10 Terrible Famines In History". Listverse. ^ "Chittaprosad's Bengal Famine". The Wall Street Journal. 19 July 2011. Retrieved 2013-08-28. ^ Lisa Lowe; David Lloyd (27 October 1997). The Politics of Culture in the Shadow of Capital. Duke University Press. pp. 438–. ^ Aparna Bhargava Dharwadker (1 November 2005). Theatres of Independence: Drama, Theory, and Urban Performance in India since 1947. University of Iowa Press. pp. 407–. "BBC/OU: The things we forgot to remember - The Bengal famine". Bhatia, B. M. (1985) Famines in India: A study in Some Aspects of the Economic History of India with Special Reference to Food Problem, Delhi: Konark Publishers Pvt. Ltd.
Bowbrick, P. "How Sen's theory causes famines". Bowbrick.org.uk. Retrieved 14 April 2011. Bowbrick, P. (1986). . 11(2) 105-124"Food Policy"A refutation of Sen's theory of famine, (PDF). Bowbrick.org.uk. Retrieved 1 September 2011. Bowbrick, P. . 12(1) 5-9, February 1987"Food Policy"Rejoinder: an untenable hypothesis on the causes of famine’, (PDF). Retrieved 1 September 2011. Dyson, T. and A. Maharatna 'Excess mortality during the Great Bengal Famine: A Re-evaluation' in The Indian Economic and Social History Review, Vol 28, No. 3, 1991. Dyson, T. 'On the Demography of South Asian Famines, Part II' in Population Studies, Vol 45, No. 2, July 1991. Goswami, O., ‘The Bengal Famine of 1943: Re-examining the Data' in The Indian Economic and Social History Review, Vol 27, No. 4, 1990. Greenough, P. R. (1982). Prosperity and Misery in Modern Bengal – The famine of 1943-1944. New York and Oxford: Oxford University Press. Sen, Shila (1976) Muslim Politics in Bengal 1937-1947, New Delhi. Singh, A. (1965). Sectional Price Movements in India. Benares: Banaras Hindu University. Slim, W. (1956) Defeat into Victory, Cassell & Company. Iqbal, F; You, J.I. (2001). "Ideas of Justice". Democracy, Market Economics, and Development: an Asian Perspective. Other World Bank Bks. Washington, D.C.: World Bank. pp. 9–24. Bayly, Christopher; Harper, Tim (2004). Forgotten Armies: Britain's Asian Empire & the War with Japan. London: Penguin Books. Aykroyd, W. R. The conquest of famine, London, Chatto and Windus, 1974. Bedi, Freda, Bengal Lamenting, Lion, Lahore, 1944?. Bengal Administration, Bengal Famine Code, (Revised edition of December 1895) Calcutta. 1897. Bhatia, B. M. Famines in India, Asia Publishing House, Bombay 1967. Desai, R. C., Standard of living in India and Pakistan, 1931-2 to 1940-41, Popular Book Depot, Bombay, 1953. Dutt, T. K., Hungry Bengal, Indian Printing Works, Lahore, 1944. "Famine Inquiry Commission, Report on Bengal, New Delhi, Government of India, 1945". Bowbrick.org.uk. Retrieved 20 April 2011. "Famine inquiry commission report on Bengal". Famine Inquiry Commission. 1945. 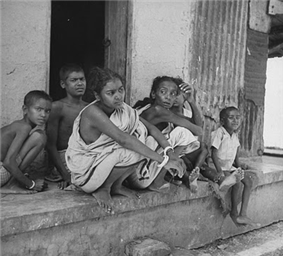 Ghosh, K. C. Famines in Bengal, 1170–1943 Calcutta: Indian Associated Publishing, 1944. Ghosh, T. K. O., The Bengal Tragedy, Hero Publications, Lahore. 1944. Government of India, Report on the marketing of rice in India and Burma, Government of India Press, Calcutta. 1942. Hunter, W. W. Famine Aspects of Bengal, Simla 1873. "Famine Inquiry Commission final report". India, Famine Inquiry Commission. 1945. Knight, Henry, Food Administration in India, 1939-47 (Palo Alto, 1954). Mahalanobis, P.C. (1944). "Proceedings of the National Institute of Sciences of India, x P.71" (PFD). Organisation of Statistics in the Post-War Period. Mansergh, N. (ed) The transfer of power 1942-7 vol III, London, HMSO. 1971. Mansergh, N. (ed) The transfer of power 1942-7' vol IV, London, HMSO. 1973. Masefield, G. B., Famine: its prevention and relief, Oxford, OUP. 1963. Moon, P. (ed. ), Wavell: the Viceroy's journal, OUP, Oxford 1973. Padmanabhan, S. Y. "The Great Bengal Famine", Annual Review of Phytopathology 11(1973), pp. 11–26. Panse, V. G. (1954). "Report on the Scheme for the Improvement of the Agricultural Statistics 1954 Delhi" (PDF). Delhi. Palekar, S. A., Real wages in India 1939–1950 International Book House, Bombay. 1962. Pinnell, L. G., The Pinnell Archive on the Bengal Famine: Evidence to the Famine Inquiry Commission 1944. British Library doc EUR Doc 911. Rajan, N. S. R., Famine in retrospect, Pamda Publications, Bombay. 1944. Stevens, I. Monsoon morning, London, Ernest Benn. 1966.